What is a harp circle? A harp circle is an opportunity to play a harp, most people don’t often come across harps in their day to day lives, and don’t get an opportunity to play one! This is where From the harp comes in and enables you and your group to enjoy a harp circle. Being part of a harp circle can energise and sooth, a harp circle provides an accessible and engaging musical activity, that can boost self esteem, and it provides a way of communicating beyond words. It’s the opportunity to get your hands on a harp and try something new. It engages your senses as you listen to the sound you create and feel the heartwarming good vibrations. From the harp has six lightweight lap harps that are easy to play, they have straps and knee sticks so are easy to balance while we sit in a circle and play. My harps have 26 strings, and a lovely resonance when the strings are plucked or a glissandi is played. a glissandi is a continuous slide of the finger over the strings producing a range of sounds. It is easy to produce a lovely sound on the harp when you first try by using the plucking and glissandi techniques and this is very satisfying. You too can play the harp! So a harp circle is a group of people making music together on harps. A harp circle allows groups to make their own music together. Each person has their own part to make a collective sound together. No musical experience is necessary as we can improvise and let the creativity flow. There is no wrong note and we’re all musical, so we can develop some music with it’s own sound and depth. Improvisation is music on the spot, it is spontaneous, and won’t be heard again! In a harp circle we can also play well known favourite pieces, I have colour coded the strings of my harps so nobody needs to know how to read music, we can do it all by looking at the colours. We can also do ’rounds’ together. A round is when we each play a different part of the song at the same time, and listen as it harmoniously fits together. We can do a round with Frere Jacques that would sound something like this singing version. So harps circles can use set music and improvisation, we can also have a lot of fun learning different techniques to create different sounds and play some games. No experience is necessary to take part in a harp circle. The harps are small and lightweight, and can easily be positioned on the lap or held in place with a shoulder strap. If this is not possible the harp can be placed on a table or held for somebody to be able to participate. 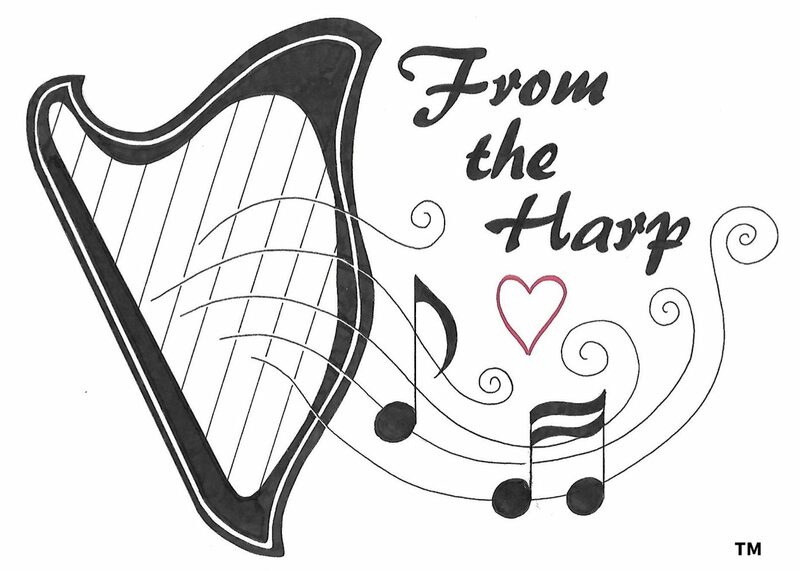 Get in touch if you would like a harp circle for your group, and let me know what would be a favourite tune of yours that you would like to play on the harp. Previous postWhat is harp therapy? Great to meet another certified harp therapy practitioner who is also an occupational therapist! Fantastic! Great to meet you too, do you know any more? I’m guessing we’re a rare breed! I haven’t met any others yet– dozens of nurses and educators and musicians. You are the first I’ve met– most of the ones I run into are nurses, educators and/or musicians. I am a retiring OT, escaping early from the paperwork. Could I learn to play the harp, where would I start. My heart sang reading From the harp. Fantastic. Thank you for your lovely comments, so pleased to have made your heart sing. It sounds like you should try the harp and you have time to do so now 🙂 I would hire a harp from a harp shop and get a few lessons and see how you go. Good luck!